The Republic of Ireland’s high court will decide on Monday whether or not to investigate the governance of the country’s largest media group. 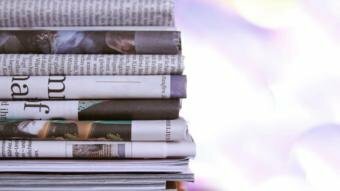 The move applies to Independent News and Media, which owns newspapers across Ireland, including the Belfast Telegraph. The Office of the Director of Corporate Enforcement (ODCE) is making the move. It follows a data breach within the firm in 2014 involving 19 people, some of whom were its own journalists. The revelations follow “a protected disclosure” under Whistleblower legislation to the ODCE by the former chief executive of INM, Robert Pitt. It is understood he had serious concerns about the price that INM was being asked to pay for the Denis O’Brien-owned independent loss-making talk radio station, Newstalk. Mr O’Brien effectively controls INM, a publicly quoted company, with a shareholding of just under 30%. Mr Pitt’s opposition to the sale put him at odds with the INM chairman, Leslie Buckley, INM’s chairman and a close associate of Mr O’Brien. Mr Pitt is no longer with the Irish media company and Mr Buckley recently resigned as chairman. In the run-up to the High Court action, it has emerged that 19 people were targeted by IT consultants hired by Mr Buckley, and paid for by a Denis O’Brien-controlled company. Among the 19 were INM journalists who were highly critical of Mr O’Brien before he took over INM, including the award-winning Sam Smyth, who is originally from Belfast and is now with the Irish Mail on Sunday. Many of them were seen as loyal to the old regime at INM and the family of Sir Anthony O’Reilly. Others include lawyers associated with the Moriarty Tribunal, which found “beyond doubt” that the former Fine Gael Communications minister, Michael Lowry, had significantly assisted Mr O’Brien in acquiring the republic’s first private mobile phone license in the mid 1990s. Mr Lowry received large sums from Mr O’Brien in complex financial transactions. Both men have strongly denied any wrongdoing and no criminal charges were ever brought in relation to the findings. Mr O’Brien is a noted philanthropist with an interest in human rights and was involved in bringing the Special Olympics to Ireland in 2003. But his critics describe him as a tax exile. He also has a reputation for being litigious. INM has sent a letter to the 19 people whose data has been breached confirming the role of Mr Buckley in the affair. He has said he would be “robustly defending” himself. So far there has been no comment from Mr O’Brien. On Friday it was reported that INM are to appoint external experts to examine their governance of editorial data and to introduce an updated newsroom data governance code. With many thanks to: BBCNI for the origional story.